The Liofilchem® MIC Test Strips is a quantitative assay for determining the Minimum Inhibitory Concentration (MIC) of antimicrobial agents against microorganisms to indicate appropriate patient treatment and for identifying resistance patterns. Liofilchem® MIC Test Strips are made of special high quality paper impregnated with a predefined concentration gradient of antibiotic, across 15 two-fold dilutions like those of a conventional MIC method. On one side of the strip a MIC scale in µg/mL is displayed and a code that identifies the antimicrobial agent. 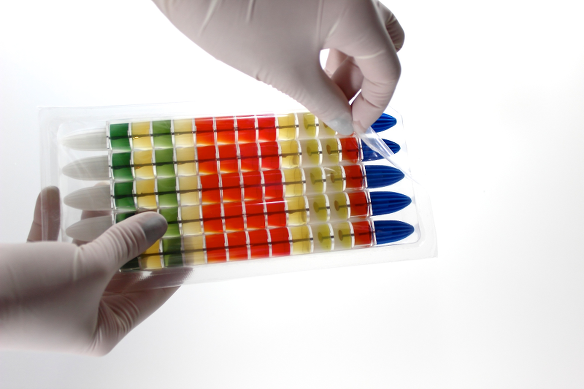 Liofilchem® MIC Test Strips are available in a large variety of antibiotic configurations. Each configuration is available in blister packs of 10 strips, 30 strips and 100 strips. 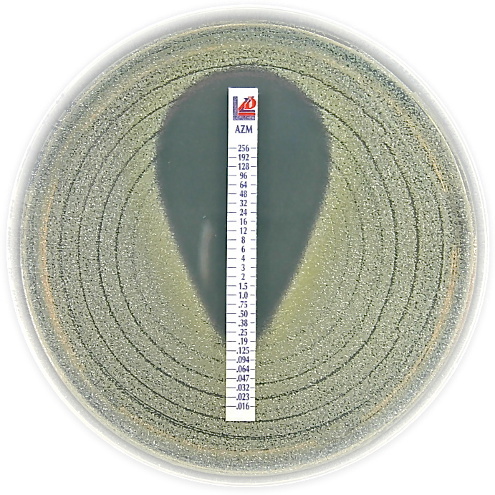 When the Liofilchem® MIC Test Strip is applied onto an inoculated agar surface, the preformed exponential gradient of antimicrobial agent is transferred into the agar matrix. After 18 hours incubation or longer, a symmetrical inhibition ellipse centered along the strip is formed. The MIC is read directly from the scale in terms of µg/mL, at the point where the edge of the inhibition ellipse intersects with the MIC Test Strip. EnteroPluri-Test is a 12-sector system containing special culture media that permits identification of the Enterobacteriaceae and other gram negative, oxidase negative bacteria. The system allows the simultaneous inoculation of all media present in the sectors and the execution of 15 biochemical reactions. Microorganism is identified evaluating the colour change of the different culture media after 18-24 hours of incubation at 36 ± 1 °C and by a code number obtained from biochemical reaction interpretation. EnteroPluri-Test makes possible the identification of the Enterobacteriaceae and other gram negative, oxidase negative bacteria isolated from clinical and environmental samples. The identification is based on biochemical tests performed on culture media containing specific substrates. 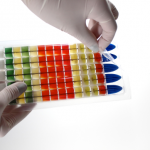 The combination of positive and negative permits to identify bacteria by using the Codebook.